A friend just reached out to me who is thinking about quitting his job and becoming a digital nomad or at least shifting his work to being location independent. He figured “I’ll set up a company in a low tax country then eventually change my residency”. In case you’ve never been in business before it’s important to realize that frequently (though not always) a business is a separate tax payer from you. As you grow this will become increasingly important because where or how much tax you pay doesn’t necessarily reflect on where or how much tax the company pays. This could mean you could reduce your overall level of tax and defer the tax potentially indefinitely much like a giant retirement fund (see https://richucation.com/the-3-ways-to-save-on-taxes/ for some background on the benefits of deferral). However, you and your taxability MIGHT determine the taxability of the company depending on your individual business circumstances. There is no one size fits all, it doesn’t matter that your friend says they have a HK company and don’t pay tax aside from the fact that they might be doing something illegal and just not have been caught yet their circumstances are different from yours so what’s best for them might be very different from what’s best for you. This is where it pays to consult an expert. Bottom line: figure out both what should be done about your business and yourself personally separately and then together. I’ve worked really hard over the last few years to educate people on the difference between corporate residency and corporate registration. I used to have people coming to me and sometimes still do saying “hey I’ve got a Belize IBC so I don’t pay tax” probably this is wrong unless you’ve got a really great set of circumstances working in your favor. Think of it this way. If it was so easy as forming a company in a country with no tax like Bahamas, BVI, Cayman, etc. then everyone would do it and tax departments everywhere would be out of business. Most countries in the world don’t just tax companies that are registered locally they tax countries that are resident locally, which often means “where they are managed and controlled”. 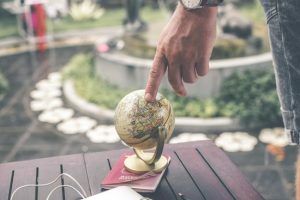 In addition to this almost every country in the world will tax local income, which is a long conversation but to start off with is based on where you and your team are doing the actual work. Once again, consult an expert on this and pay attention to where companies are tax resident and where the income is sourced. Rules will vary around the world. So Where Should You Form a Company? Great question! Not a simple one to answer and again there is no one size fits all so let’s dive into the considerations. The obvious starting point is to look at where you are based. It’s easy and you could likely end up with tax consequences there anyway so why complicate things unless you can get some big savings. Reasons you wouldn’t want to go with your local country? The biggest start issues are #1 & #2. Let’s say for example you’re from Serbia and you want to run a drop shipping business. Serbian banking is crap and you aren’t going to have good payment processing options for accepting credit cards…plus the whole system is bureaucratic so you might consider elsewhere regardless. On the flip side should you consider BVI or Belize or Anguilla or Seychelles etc.? Those used to be decent options today it’s almost impossible to open business bank accounts for those companies and even if you do get them open there’s a good chance it’s really bad banking and your money could be at risk of loss. Bad idea, in 99% of cases don’t do it. So, if not there then where? Take a look at what you need in terms of infrastructure. For example, do you need to accept credit cards? If you don’t want to accept credit cards your options broaden and might include places like Georgia, Malaysia, Dubai, Panama, or numerous others. If for example you were in the adult industry or the gaming industry or some other strange product it would mean you’ve got restrictive rules and you need to narrow your list of options very quickly. Or maybe you need to receive payments by crypto currency and settle them to your account through an exchange. Again, this would be a reason to consider other options because most banks as of the time of this writing won’t accept crypto. You should also consider currencies. If you want to accept currencies other than USD then the US isn’t good for you because generally you can only deal in USD in US banks. On the flip side you might have conversion costs in someplace like Hong Kong and those are best avoided. You might also need to accept Paypal and this rules out a lot of options either because they aren’t supported or you can’t get banking in the same country as your company is being formed and Paypal needs the country of registration to match the country of the bank account. From these it takes greater discernment to determine which is best so again consulting an expert might be a wise idea. Even if you are in a country where you’ve got access to the infrastructure you need and where it’s easy to set up and operate a company you might consider forming a company elsewhere if you’re earning or going to be earning a significant amount. What is a significant amount? Well your tax bill better be at least $50k before you start thinking about it since it’s going to be an added hassle and added cost. It also helps if you’re hiring contractors or employees abroad (good idea to keep costs lower and be more competitive anyway) and further if you yourself are going to be location independent. What About Considering Living Abroad? Personal tax is based on residency or rather tax residency and each country has their own rules. If you’re from the US you’re tax resident by merit of your citizenship so you can’t escape the tax net but you might be able to earn approx. $100k/yr tax free if you qualify for the foreign earned income exclusion. On other countries like Canada you can cease to be resident only if you become resident somewhere else (you aren’t allowed to be resident no where) and there’s an exit tax so be careful. There are some lucky countries where you’re allowed to be resident nowhere and a truly global citizen. It can be some of the safest easiest ways to lower your tax bill if you’re willing to do so and can work from anywhere. But be careful because just because you get legal residency in one place such as Panama or Dubai doesn’t mean your home country will consider you non-resident and they might still tax you even though you’re never present. Again, this is a question of the facts of your situation and the local rules so consult an expert to find out for sure. Where Are Good Places to Move Abroad for Low Tax? This being said we’ve got a ton of articles on the site about popular places to get residency where it’s fairly easy and taxes are relatively low so you can research by browsing our articles. Those are great options to start by researching. If you’ve got any questions reach out to us by sending us an email or booking a consult we’re happy to help. Also don’t forget to join our forum to find out what others are asking and share your own experiences.